Nate focuses his practice on assisting clients with securing and protecting their intellectual property rights in the areas of patents, trademarks, copyrights, and trade secrets. Leveraging his prior experience as chief intellectual property counsel for a publically-traded technology company, Nate enjoys providing strategic counseling to both large and small businesses on intellectual property matters, and providing businesses with guidance on intellectual property portfolio development and management strategies that are right-sized and cost-effective for the client's needs. In addition to having considerable experience drafting and prosecuting domestic and foreign patent and trademark applications, Nate also has experience drafting agreements and managing transactions in areas such as joint development and intellectual property ownership, patent and trademark licensing, and software licensing. He also assists clients with ascertaining and managing third-party intellectual property clearance risks, particularly with respect to complex patent rights by performing in-depth patent analyses, providing strategic guidance on product development options and considerations, and drafting legal opinions regarding the same. 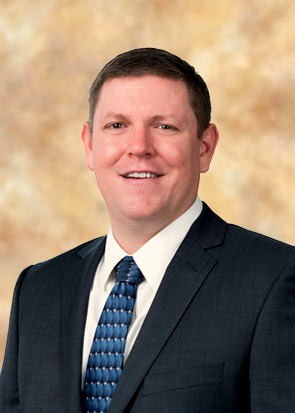 Prior to his legal career, Nate was a principal electrical engineer at an electric utility and is licensed as a Professional Engineer in the State of Florida. Due to his engineering education, work experience as an electrical engineer, and continued technical development through his work with innovative clients in the areas of wireless communications, electronics, software, optics, and mechanical systems, Nate brings a vast degree of technical knowledge to his practice. This technical knowledge allows him to quickly understand clients’ technical innovations and develop strategies for protecting those innovations.